Welcome to Chickenlandia is here! I am pleased to unveil this super fun little project I have been pecking away at. Welcome to Chickenlandia is the magical imagining of Dalia Monterroso local Chicken whisperer.Welcome to Chickenlandia is her creation and I was happy to help her realize a visual identity for an imaginary place. Check out the website we put together for her which also showcases the set of visual assets created for Ms. Monterroso’s project. Included in the group is this terrific photo taken by Seattle based photographer Rick Dahms. We wanted the best shot of the President of Chickenlandia and we got it. Enjoy the website here. We design, and manage websites as well as create content for them. 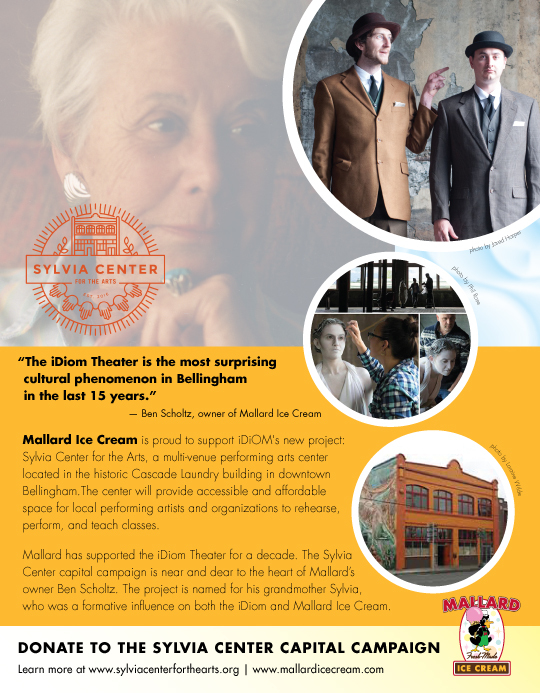 This in-progress series of ads talks about the collaborations, partnerships, and relationships my client, Mallard Ice Cream is having in the local community. 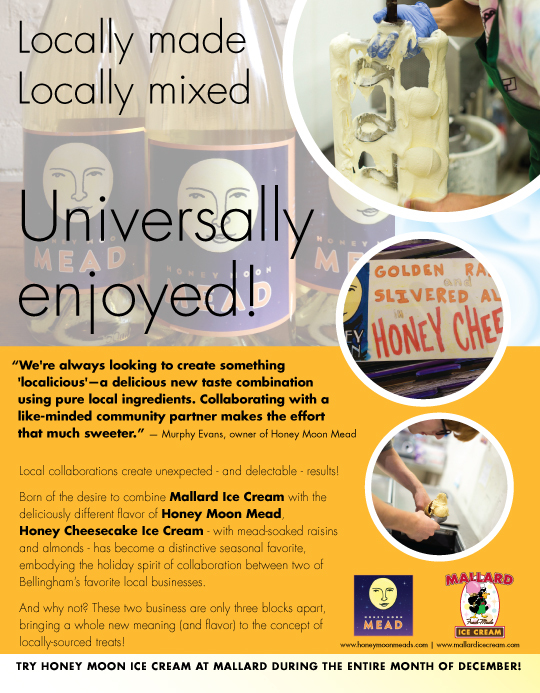 The design of each of these ads needs to reflect not only the Mallard Ice Cream brand but the partnering brand as well. I worked with a different group of people on each ad to help me weave the visual story of the collaboration. Working on some new ads for this client as they are about to open a second location. 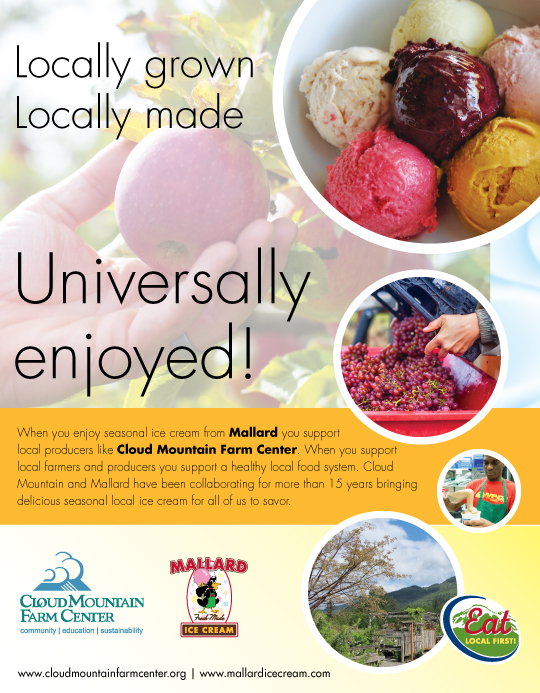 Here’s an older ad I designed for them that has been re-used many times with changed up background colors and content.